Be sure to offer a gluten-free side dish for your guests. 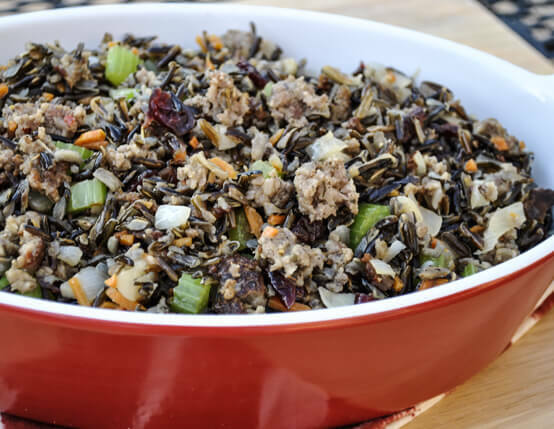 We recommend this satisfying wild rice stuffing that's stress-free and ready in just 15 minutes. 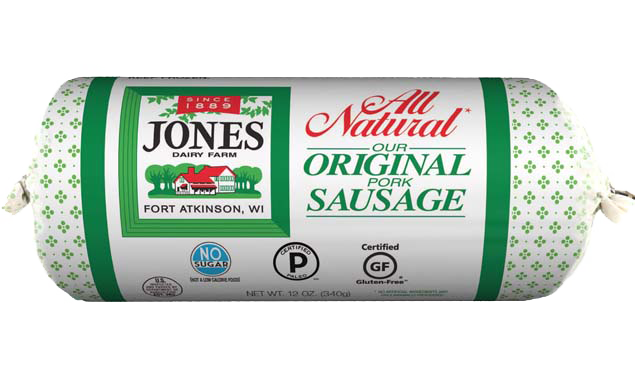 Cook sausage in skillet over medium heat until sausage is no longer pink; crumble as it cooks. Drain and set aside. Heat grape seed oil large skillet over medium-high heat. Add onions, carrots and celery and sauté 3-5 minutes, or until soft. Add water chestnuts and cranberries; mix well and heat through. Add cooked sausage; mix well. Add cooked wild rice, stir to combine. Cook until all ingredients are heated through; season with salt and pepper. Top stuffing with 1-2 tablespoons butter; toss to combine. Serve stuffing immediately as a side dish or stuff into turkey (or other bird) as you would traditional stuffing.